In the Alentejo, the history of amphora wine goes back over 2,000 years. Today, this ancient technique is on the verge of extinction, however, there are some taverns keeping this tradition alive. Adega Velha, in Mourão, is an example of this resistance and an inspiration. Its owner, Joaquim Bação, was a key figure in how we learned to produce amphora wine at Herdade do Esporão. We decided to revive and interpret this Alentejo tradition in 2014. After much research and learning, these wines are the result of our first experience. This unusual technique is quite unlike any other way of producing wine from the outset. After being destemmed and crushed, the grapes are put in clay amphorae to begin fermentation. This occurs spontaneously, due to the indigenous yeast in the fruit. The fermentation and shape of the amphora create movement that pushes the skin that forms on the surface to the bottom of the vessel. 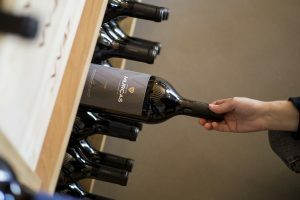 During this phase, when the fermentation is complete, olive oil is added to seal the amphora, preventing the wine from having contact with the oxygen. It’s traditional in the Alentejo to leave the pulp to rest in the amphorae until São Martinho (Saint Martin’s Day – 11th November), when we taste it along with roasted chestnuts. Our wines, however, spend around 6 months in the amphorae. As soon as the wine is ready to be bottled, a tap (stopper) is placed at the base of the amphorae to remove the wine. Being removed from the bottom, means the wine drains through the pulp that has meanwhile been deposited, operating as a natural filter. At the end of this process, the wine is more oxygenated, with less extraction, as well as being light, smooth and fruity. 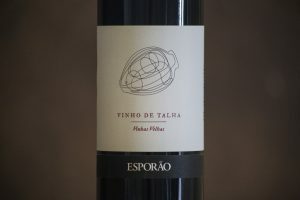 Due to its profile, it’s a wine to be drunk immediately and very gastronomic. Ideal to pair with traditional dishes or ‘petiscos’ (Portuguese version of tapas) from our Alentejo.